In any survey of the top drummers in the world, Keith Moon would always be assured a place in the top five. The Who’s lead singer, Roger Daltrey, once said, Keith never played a drum kit he drove it. He was one of the most unpredictable characters in music and yet fascinating at the same time. After he died in 1978, how did The Who manage to carry on as filling Keith’s boots was always going to be a tall order? In the period 1978-1980 quite a lot changed with the band, former Small Faces drummer Kenney Jones was chosen as Keith’s replacement, Pete Townshend, who had recently split with his wife Karen, began living in various hotels, drinking and clubbing. Drugs definitely came into it, in fact one night whilst out drinking with Paul Weller and Visage’s Steve Strange he collapsed, “They carried me into the hospital and I was dark blue,” Townshend recalled. “The nurse actually had to rip off my shirt outside the hospital and beat me back to life.” On recovery he started an affair with a lady called Jackie Vickers and it was her that most of this week’s song suggestion is written about. Pete said, “I wanted it to be a great song, because the girl I wrote it for is one of the best people on the planet.” That song is You Better You Bet. His frequent visits and spending evenings just sitting around certainly inspired the line ‘I lay on the bed with you, we could make some book of records, your dog keeps licking my nose and chewing up all those letters’. They were both fans of T-Rex hence the line ‘I’ve drunk myself blind to the sound of old T-Rex’ It was quite a different sound from many previous Who singles. Obviously the new drummer played a key part and it was more personal too. I wonder how Roger Daltrey must have felt being a mouthpiece for Townshend’s extracurricular activity. The piano was much funkier as played by John ‘Rabbit’ Bundrick and it included some falsetto backing vocals too. For me, the most interesting things is how Roger never sings the word ‘better’ the same way twice. What also helped the band’s profile was that MTV launched later the same year and the black-and-white video featured the band performing the song onstage and was the fourth video shown on the day of its launch. In 1982 Pete Townsend found himself unable to write any material and paid to be released from a contract in which they still owed Warner Brothers an album. 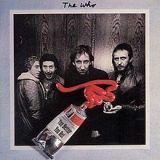 At the end of 1983, he released a statement announcing he was leaving the band which, seeing at Townshend solely wrote virtually every Who track, meant the band had split. There was a brief reunion for Live Aid in 1985 with them performing Love Reign O’er Me and the rousing epic Won’t Get Fooled Again. Four years later they decided to hit the road again and embarked on a 25th anniversary tour called The Kids Are Alright reunion tour. They had replaced Kenney Jones with Simon Phillips on drums and added Steve Bolton as a second guitarist. They remained together but continued touring and in 2002 decided on a UK and US tour. The UK dates went fine, but on the eve of their US leg bassist John Entwistle died of a heart attack in Las Vegas. Entwistle’s son Christopher gave a statement in full agreement of the Who’s decision to continue the tour and brought Pino Palladino in on bass. To this day, the Who still tour and, in all fairness, with Townshend’s songwriting and Daltrey’s voice sounding as good now as it did in 1965, the Who are still the Who and, having seen them four times how, I can speak from experience.